MSA launched its V-FORM safety harness, a high-specification and competitively priced fall protection harness that offers features and strengths that reinforce the company’s position as the leading name in PPE. It gives users the comfort and knowledge that they are choosing a harness that won’t let them down and carries a ten-year lifespan. The V-FORM harness is the first product available in the new V range of products, named after the iconic V-Gard® safety helmet developed by MSA in 1962 and trusted by tens of millions of personal protection users across the globe. Additionally, the V-FORM harness makes outstanding work-at-height safety accessible to all by delivering MSA’s market-leading standards at an exceptional price. 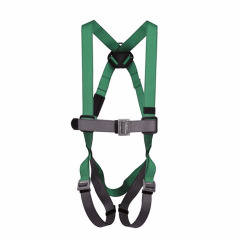 Designed to be comfortable, light and easy to use, the V-FORM harness combines simplicity with safety in a streamlined harness that can be fastened securely and released quickly. An intuitive design ensures correct fitting first time, every time. Available now, for further information please contact 01380 732700 or visit MSAsafety.com.